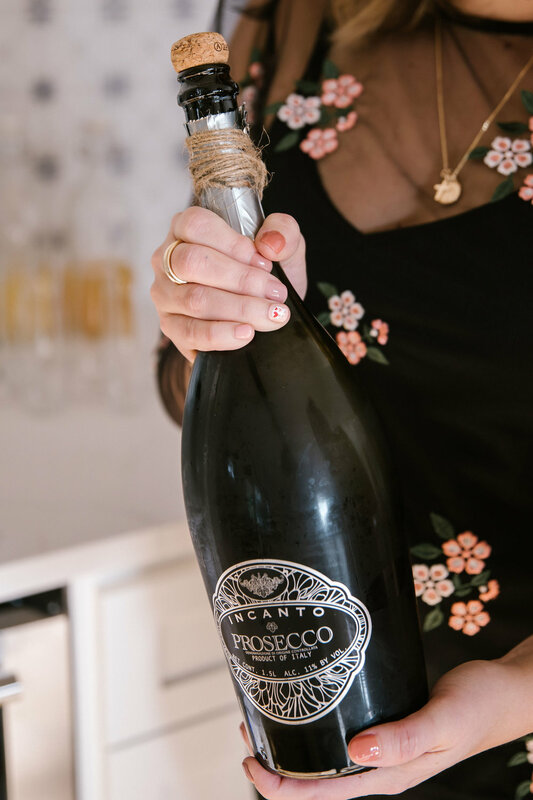 how to host a galentine's brunch. 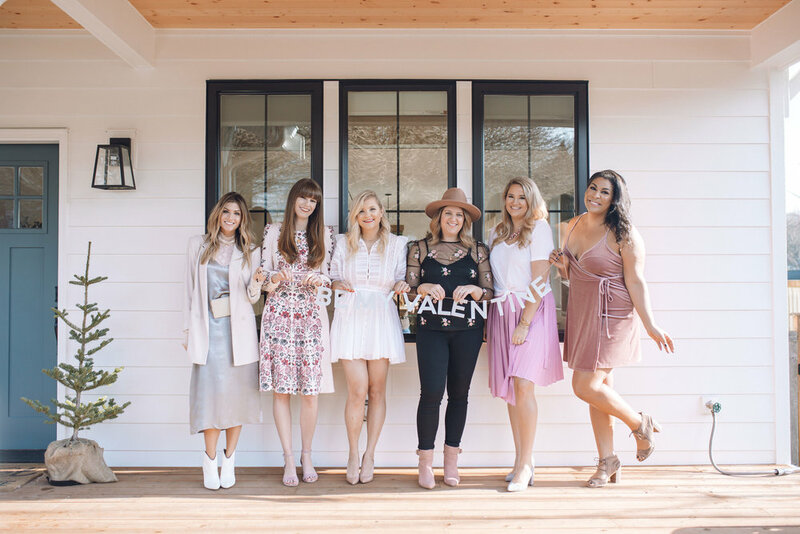 Last weekend I had some of my closest blogger babes over for a Galentine’s day brunch to celebrate the season of love. 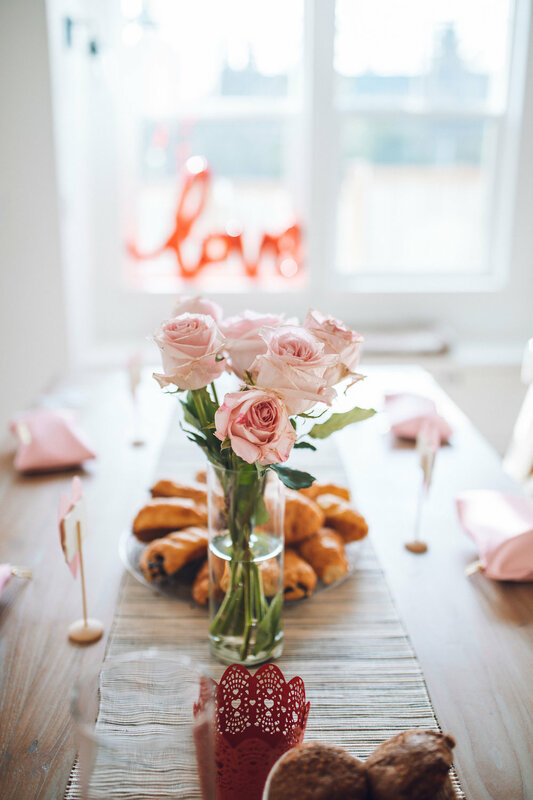 Sometimes getting together with your girlfriends and relishing in all things girly is the best way to spend valentine’s day in my opinion. Don’t get me wrong, I love my husband, but we aren’t big on celebrating holidays like this - we love each other every day of the year (duh)! Decide on your guest list. I wanted to keep mine small and intimate so I invited 5 girls which was the perfect amount since we sat 3 on each side of the table. Miss Tayler even made an appearance, too! Plan your menu. 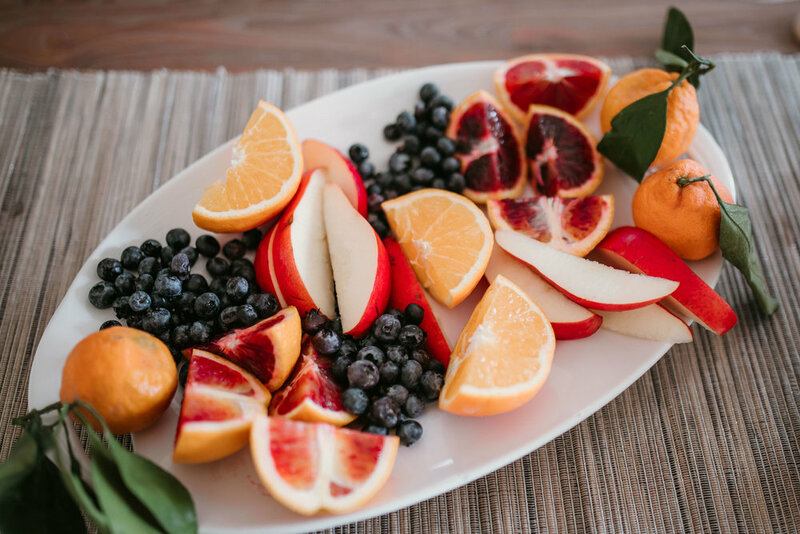 For me, the simpler the better so we had a pastry assortment, a fruit platter (I love howCortney added in an element of style with these beautiful blood oranges and small tangerines with stems to add color), and yogurt parfaits (I made homemade keto-friendly granola - see below for recipe). And of course, a mimosa bar featuring orange and pineapple juice. I went to a local gift store in West Seattle called Alair and found the cutest valentine’s decorations (pretty much everything you see here from balloons, banners, paper plates, cups, etc). The store is so cute! They have home decor, cards, prints, and pretty much any type of gift you could think of for anyone on your list. Check it out if you live in the area! It’s always fun to add in special elements that make your party unique and personalized. Special thanks to Alair’s in house calligrapher for making us these custom heart name plates and menu cards. 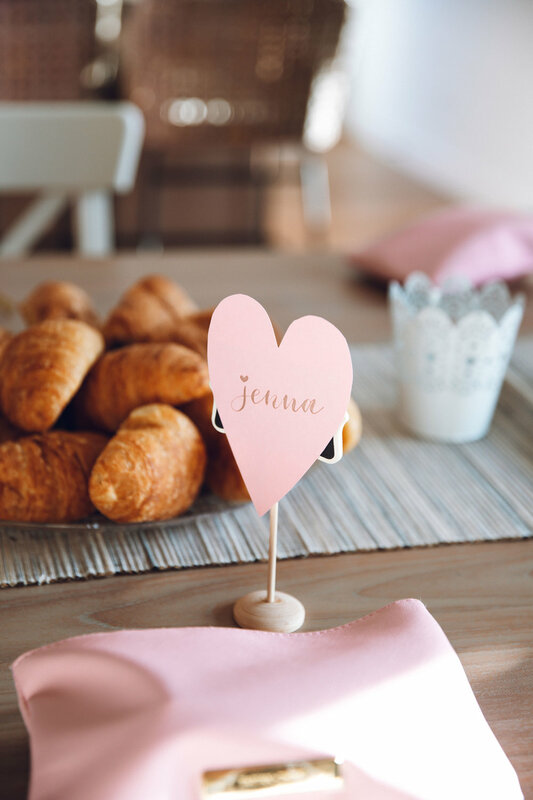 They turned out so cute and really personalized the brunch! I also bought a pack of valentines’ day themed photo booth props for pictures against a white wall - these pictures turned out so cute! Another great idea would have been to use a polaroid camera so each guest could have gone home with their picture! Carlene also put together these custom pink bags for each girl full of cosmetics that would best suite their personality - such a sweet idea! So there you have it! 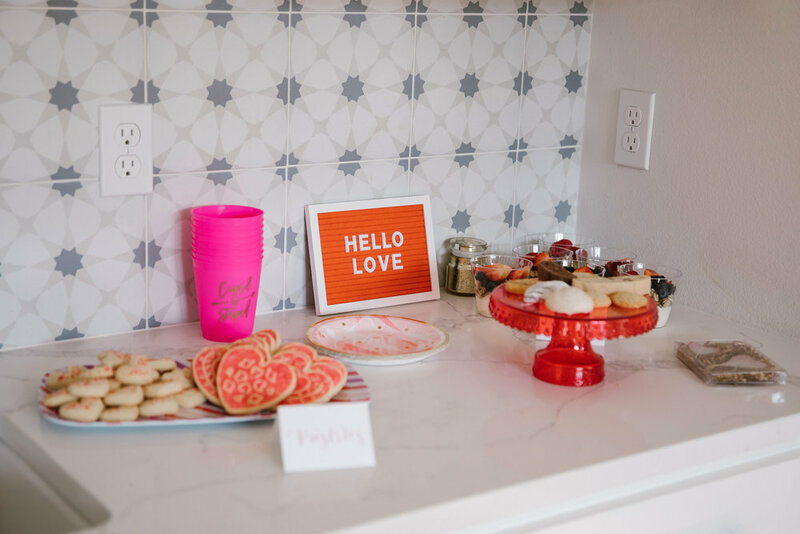 Are you into having a Galantine’s day party this year? If so, I want to hear below! I love the nail art that Juniper nails did for me! Love that my little mini me joined the girls party. Preheat the oven to 275 degrees F. Mix all ingredients together (I put the coconut oil in the microwave so it’s easier to mix). Spread evenly onto a baking sheet and cook for 30 minutes. Remove from oven and let it cool. Top over yogurt and fresh fruit. Original recipe from cooking channel. There’s still time to enter to win a $750 gift card to Nordstrom! See details on how to enter below!